Grinding Media targets attritors and ball mills. Appropriate for Attritors and ball mills, High Chrome Cast Balls are available in sizes ranging from 6–120 mm with hardness of 58–60 HRC. 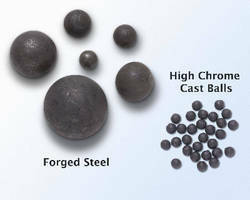 Forged Steel Balls, intended for use with ball mills, are available in sizes ranging from 20–125 mm with hardness of 55–63 HRC. 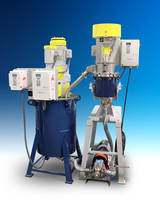 Akron, Ohio – Union Process, Inc., known globally as a manufacturer of particle size reduction and dispersing equipment as well as a supplier of grinding media and materials characterization services for a broad range of research and industrial applications, has expanded the line of grinding media the company offers. Vice President of Sales Emery Li stated, "Up to this point, we have concentrated on selling grinding media appropriate for our Attritor fine grinding mills and DMQX bead milling equipment. 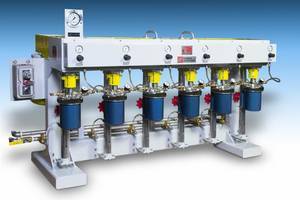 As our reputation has grown as a trusted supplier of grinding media, we have expanded our offering to now include two new options for grinding media, one of which is appropriate for ball mills rather than Attritors. 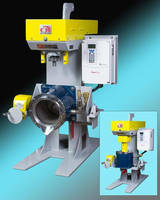 This line expansion really positions Union Process as a 'one stop shop' for all of our customers' grinding media needs." 6mm, 8mm, 10mm, 12mm, 15mm, 17mm, 20mm, 25mm, 30mm, 40mm, 50mm, 60mm, 70mm, 80mm, 90mm, 100mm, and 120mm. This low cost media has a hardness of 58-60 HRC. Standard (made by machine) 20mm, 25mm, 30mm, 40mm, 50mm, 60mm, 65mm, and 75mm. Manual (hit by air hammer) 75mm, 90mm, 100mm, and 125mm. This low cost media has a hardness of 55-63 HRC. Attritor is a registered trademark of Union Process, Inc. Lab Attritor Mill Tanks feature replaceable bar grid. Laboratory Attritor features touch screen controls. Polish Additive enhances surface color and gloss. Honing Tools produce tight tolerances. 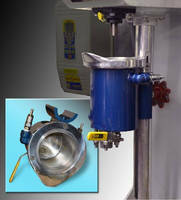 Polishing Abrasives produce 10-5 scratch-dig surface finish.